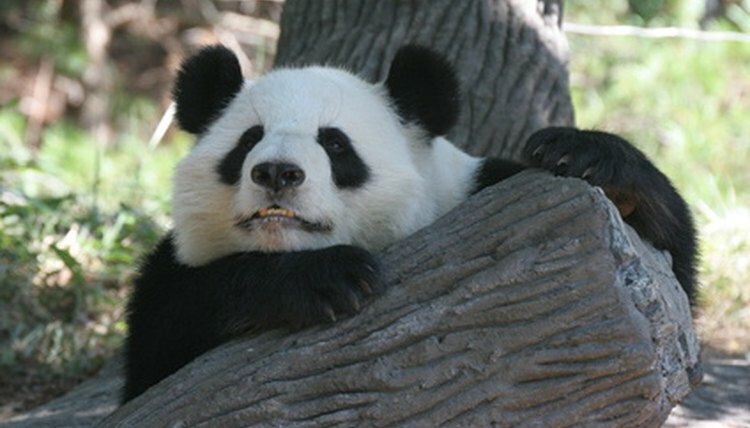 How Are Giant Pandas Different from Red Pandas? Giant pandas have gained notoriety through news reports concerning the few held in captivity, most notably the pair loaned to America’s National Zoo named Mei Xiang and Tian Tian. The giant panda also serves as the iconic logo of the World Wildlife Federation. The lesser-known red panda shares several characteristics with the giants, particularly in that its diet consists mainly of bamboo. However, other than tastes in food, habitat and a few similar markings on their fur, the red and giant pandas have little in common. Compared to red pandas, giant pandas are understandably huge. Adult red pandas are from 20 to 25 inches in length and weigh between 7 and 13 pounds, while giant pandas tip the scales at 150 to 300 pounds and are about five feet in height. 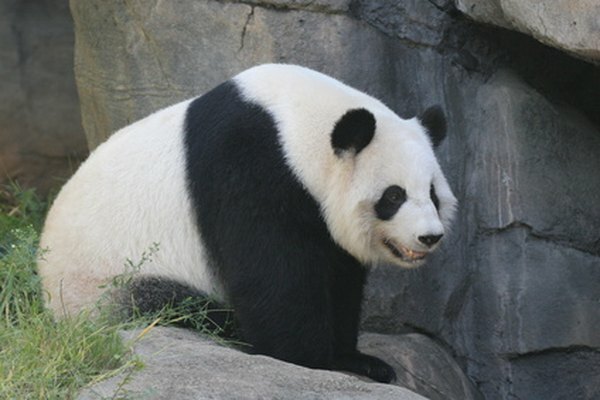 While male and female red pandas are generally the same size, male giant pandas are usually considerably larger than the females, a similarity they share with common bears. Giant pandas are monochromatic, meaning that their fur coloration consists only of black and white. 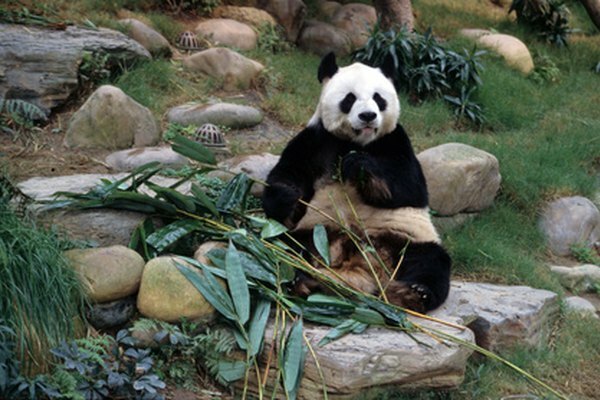 Predominantly white, the giant panda's legs and shoulders are black, as are the ears and the patches of fur surrounding its eyes. Contrastingly, red pandas are predictably red in color, with rusty red fur covering most of their bodies. While the red panda's legs are dark, nearly black as are those of giant pandas, they have white patches of fur on their cheeks, above the eyes, on their ears and on their noses, and their tails are ringed with alternating stripes of red and orange fur. More closely resembling raccoons than bears, red pandas have rounded bodies that are somewhat elongated when compared to giant pandas and long, fluffy tails. Many people call giant pandas “panda bears” because of their close resemblance to their ursine cousins. With round, barrel-shaped bodies and globe-like heads, the giant panda sports a short, stubby tail very similar to those of other bears. Both the giant and red panda share similar habitat, that being high bamboo forests. 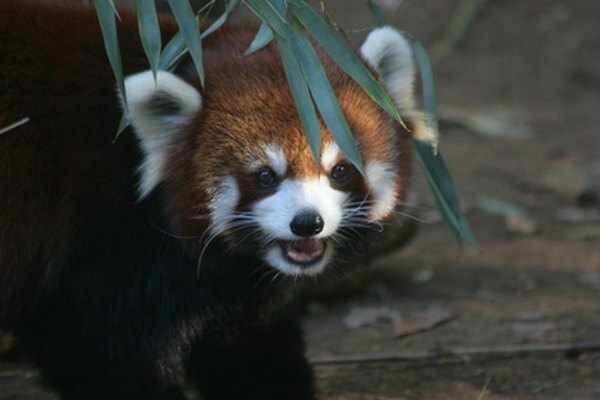 However, red pandas have a much greater range than do the giants. Giant pandas only live in the mountains of central China at altitudes of 8,850 to 12,800 feet, while red pandas live not only in central China, but also in the Himalayas and the mountains of northern Myanmar. They also tend to live at both higher and lower elevations than the giants, ranging from 5,000 to 15,700 feet. 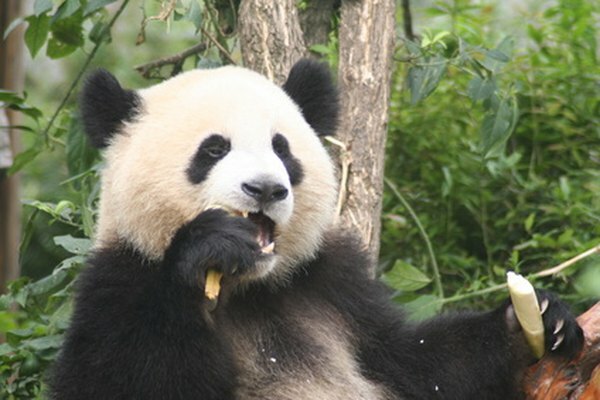 The most striking observable difference between the red and giant pandas is how they behave in nature. 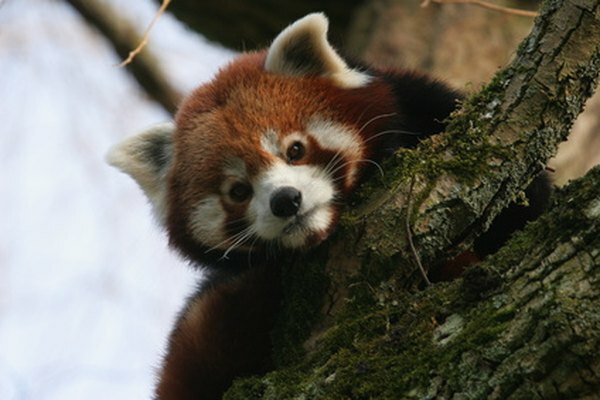 While the giants are active during the day and, though excellent climbers,spend most of their time on the ground, red pandas spend most of their time in trees and only go to ground to forage or bear their young. Red pandas are also most active at night. Some naturalists still argue about the possible relation between giant and red pandas. After all, they are somewhat similar in appearance, they both eat bamboo and they share the same habitat. 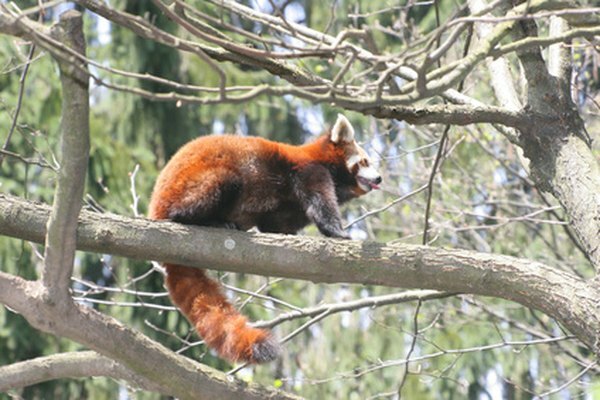 Not until the perfection of DNA testing did geneticists finally determine that the red panda, while distantly related to the North American raccoon, is a species unique unto itself and that giant pandas are akin to other species of bears. Sharing the same habitat and nutritional requirements may have guided evolution toward creating their similarities.